Yesterday my five-year-old daughter Sophia and I left for our first three-generational ski trip. 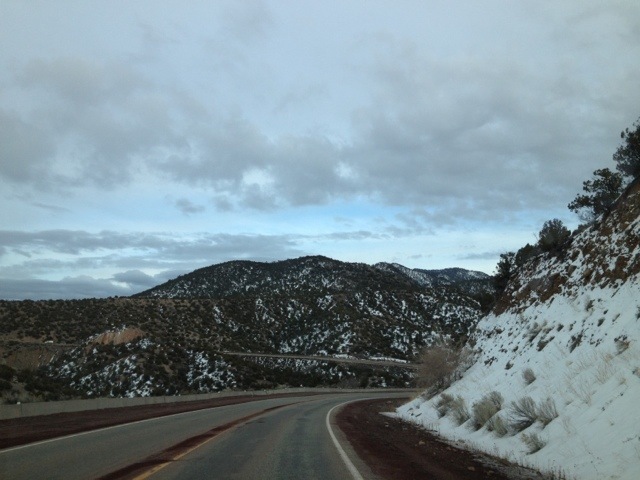 My father, me and Sophia headed west to test out the slopes in Taos, New Mexico. The last time I’d been to Taos was at least fifteen years ago, when my family and I took the ten-hour drive from Tucson to Taos in the “purple people-eater” minivan. (Don’t have any idea where the name came from but it stuck). Over the years, Taos has become quite an interesting albeit historic town known for its flavorful mix of art culture, gay community and Bohemianism. If that isn’t enough to bring you there, Taos’ world class skiing should (without the insane crowds as trendy venues like Vail and Telluride). When my dad proposed taking our annual weekend ski trip out west, Taos instantly came to mind as a place to revisit. 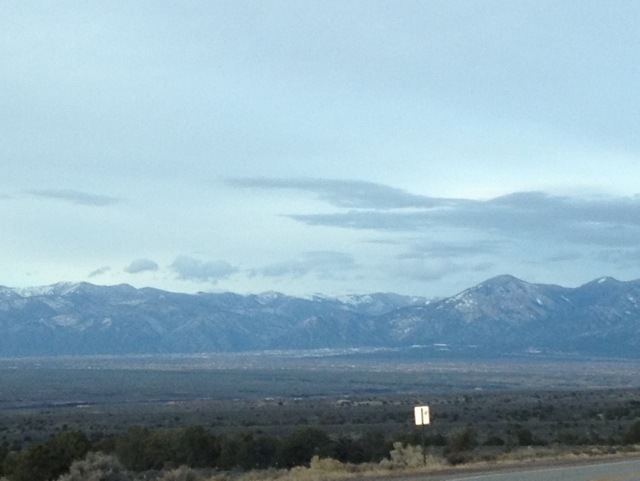 Getting to Taos is pretty much equivalent to going to Colorado as it requires a two and a half hour flight followed by a two to three-hour drive. But the main difference between the two is size. Colorado ski areas are huge and Taos is just one little resort tucked away and isolated in the mountains. 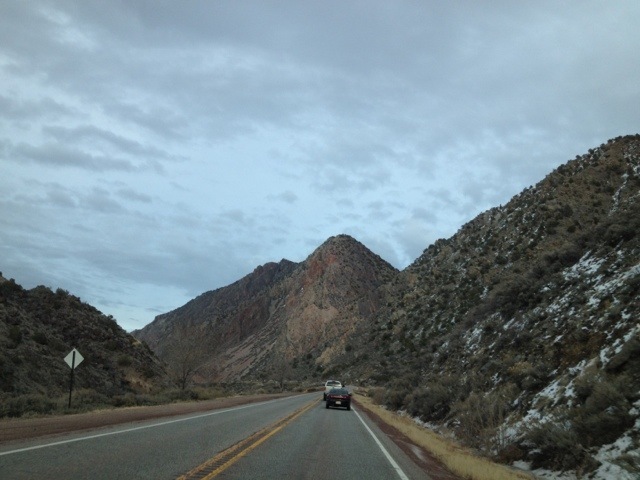 The drive from Albuquerque to Taos is fascinating and if I had my way, I would have doubled the travel time to allow for taking pictures. But as we were in a hurry to get there before dark and before little Sophia had a meltdown, there was unfortunately no time to stop and wander. Thus I had to settle with moving pictures from my trusty iPhone out the car window. I was surprised to see that most of them actually turned out pretty well given the circumstances. The drive to Taos at first is like driving on the moon and reminiscent of some of the lunar landscape I saw when I was in Iceland. There are parts of the road that lead you through a surreal landscape that feels like you are on Mars except for the odd vegetation. There are low lying green shrubbery sprinkled across the pale yellowish desert landscape. Then you pass through little towns filled with casinos and shanty mobile homes and barbed wire. Sadly to say, many of these remote, rural towns have become Meth capitals and you can see the evidence of decay in the boarded up windows of shop after shop. 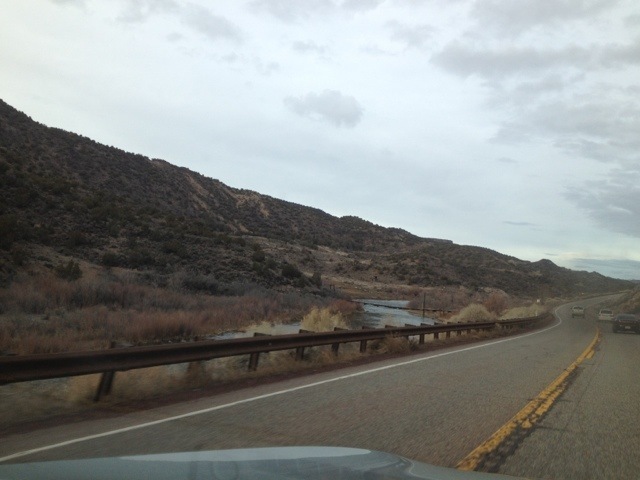 After an hour or so, you come upon the flowing Rio Grande which cascades along the moonscape. Lone trees cast their shadows across the land and the rugged peaks of the mountains loom in the foreground. It is quite a place and if I had my way, I would have stopped many times along the drive to snap pictures. Yet, time was passing and we had to get to our destination. There was no time to stop. Thus, I had to settle with taking my pictures from the car window. 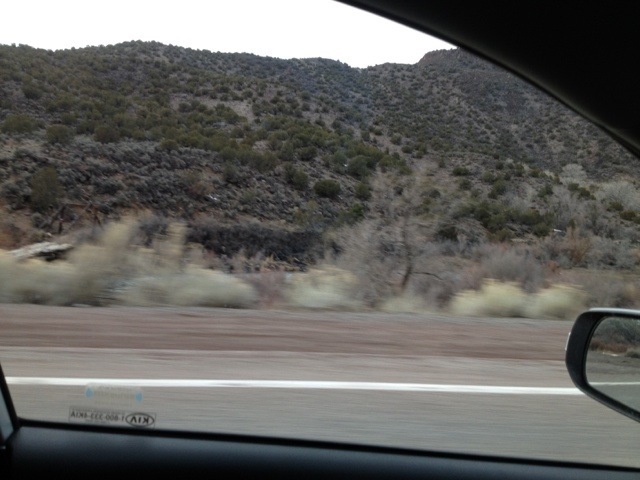 Here is my journey in photos from our road trip to Taos. Hope you enjoy! 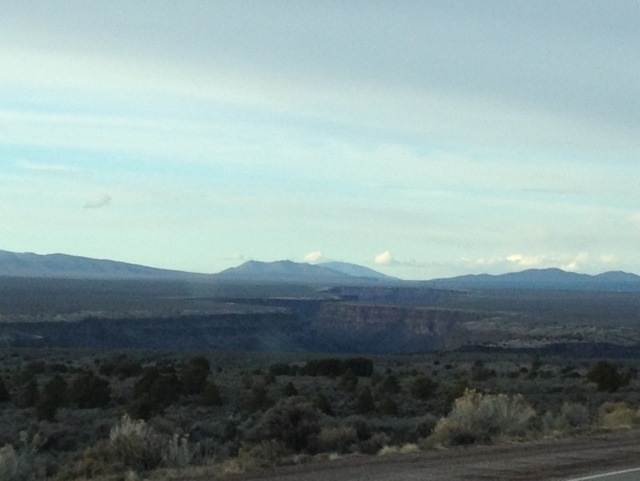 In the distance is the Rio Grande River Gorge…simply spectacular! Stay tuned…see real photos from the peaks of Taos ski resort. Gosh, I’ve always wanted to go to Taos. Can’t wait for more! Have a great time! It’s a great little resort, isn’t it? I’m glad you were able to visit! I thought your pictures and story were really nice and I’ve linked to you on my blog: http://www.newmexicoenchantment.com/state-of-new-mexico-blog.html Thanks! Oh great! I will check it out as soon as I play catch up! I have two more posts coming on my visit here. 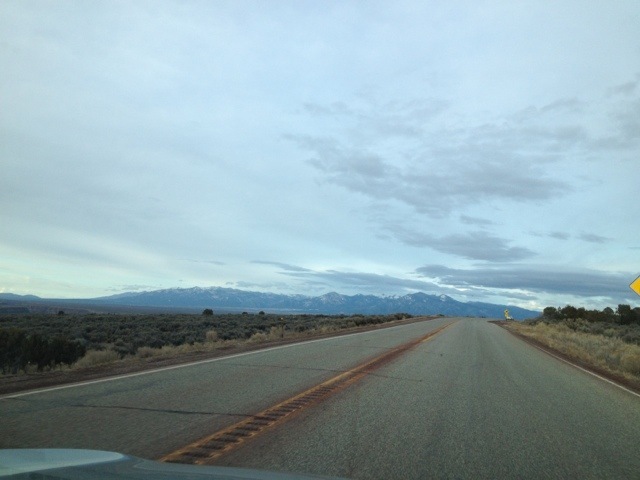 I love Taos. The people are amazingly friendly and so cool and diverse. My give year old skies the big mountains today and loved it! I am in trouble now! 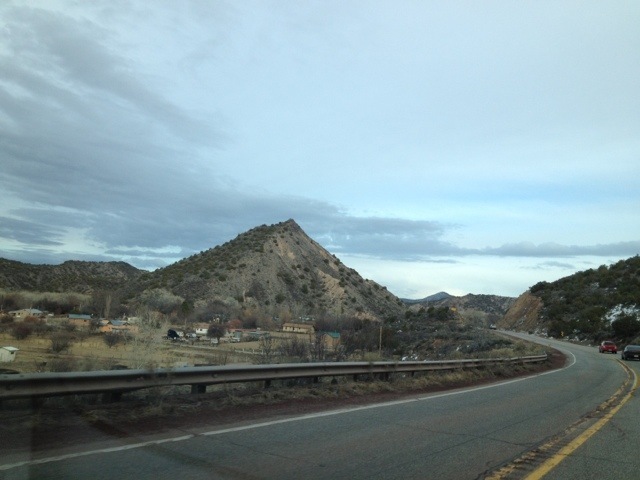 I was looking for blogs about Taos to share on our site and I came across your post…If you’re open to it, shoot me an email at jane(at)dwellable(dot)com.